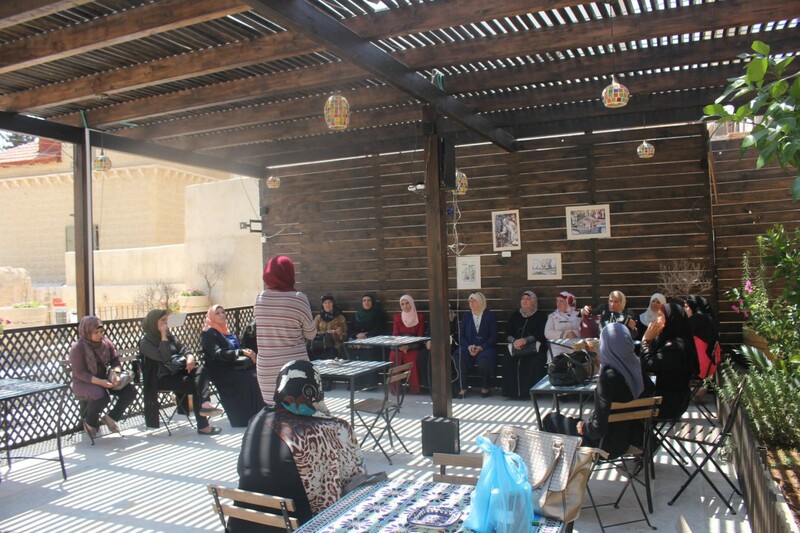 Burj Al-Luqluq Social Center Society organized a tour to Al-Aizaria Cooperative Association for Rural Development. The tour was organized under the supervision of the coaches Sameer Al-Turman and Ghada Mheisen within the project ‘ Drugs in the Eye of Jerusalemite Sisters, Wives and mothers which funded by Kuwaitis Committee for Jerusalem, in partnership with Al-Maqdese for society development and fully implemented by Burj Al-Luqluq Society. The tour was set off at 9 am in front of Al-Rashideyah school directly to the association in the attendance of 25 participants and under the collaboration of the technical manager Yara Al-Zaru who supervised and organized the entire event by introducing the association, its nature of work and its products such as cheese, dairy, butter and Jam. And then, participants went to a place near the association in order to have lunch and to discuss the idea of making such products which came along the related activities within their participation in Burj Al-Luqluq facilities.